On 6 April, 2000, armed Chhatra League terrorists carried out attack on Satkania College in Chittagong. Those injured were 30/40 people including Shibir president of that college. 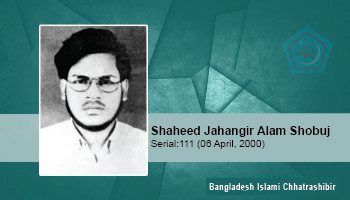 Among them, Shaheed Jahangir Alam Shobuj was critically wounded and passed away while in hospital treatment.